"I love fantasy--working out what could happen if things were different in the tangible world. We all hear a little voice inside us--whispering advice, giving words of caution. "What if a person had the ability to speak inside the mind of another? Humans, with their moral frailty, could be influenced to use the terrific power to generate good or evil. 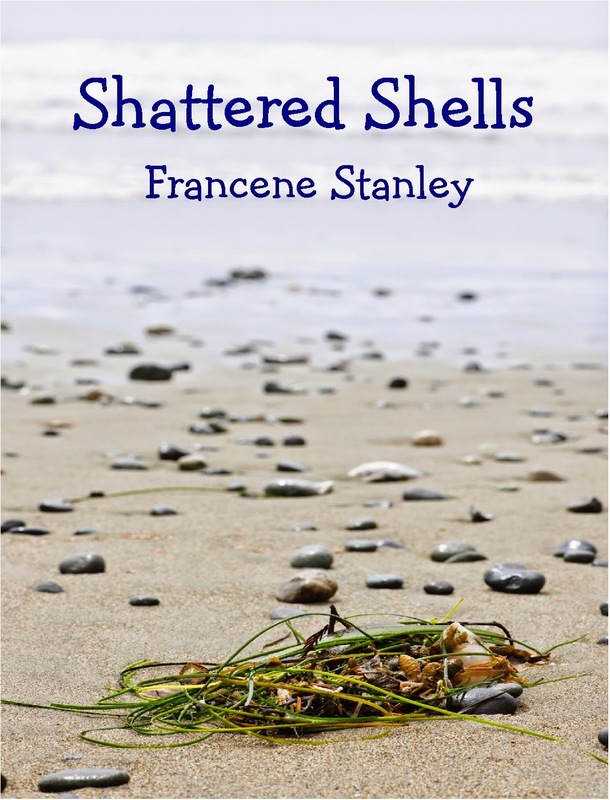 "My latest release ,Shattered Shells, is about an ordinary woman wearing a moonstone ring which gives her visions plays psychic detective. But she meets two characters, and can't judge which is the person she wants to find. Sweeping in scope and filled with the love of humanity, the novel will inspire, create empathy and lift the reader out of their everyday life. "In my first book, Still Rock Water, Liliha inherits a star moonstone ring and with it the ability to help people in trouble. However, the second novel, Tidal Surge, her daughter finds a bracelet, slips it up her arm and is drawn into murder. Mother and daughter fight the moral battle, unaware of each other's role. "My author page at Amazon shows a little about my varied life experiences and lists my books." Francene expressed her appreciation to fellow writer\members of Internet Writing Workshop, Novel list, who helped her make her fantasy novels as good as possible, and especially Edith Parzefall and Guillie Castillo, who read through the unabridged form and made suggestions. 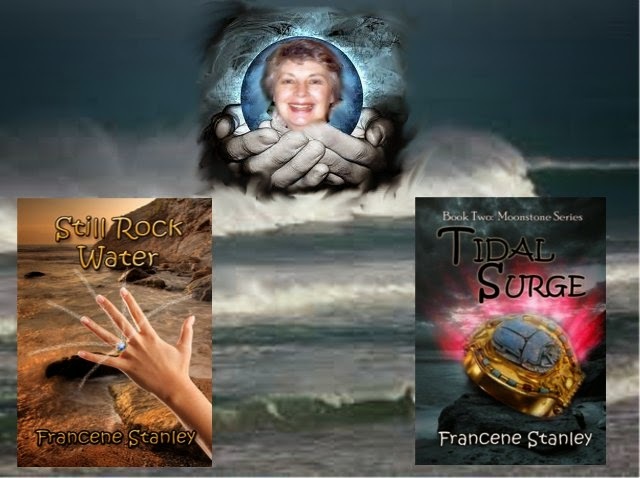 In addition to publishing her Moonstone series, Francene publishes an interesting, entertaining and thought-provoking Daily Blog.